Selective gold plating, fixture design and fabrication. Difficult substrates: Tellurium copper, Kovar, Hastalloys, Monels, Inconels etc. Custom-engineered and fabricated racking fixtures for delicate applications. Abilities to Barrel plate small components with rotational barrel mesh down to 105 microns (.004”) using controllable rotational speeds. Vibratory barrel capabilities for fragile parts and parts requiring high throw into small holes and recess areas. Basket sizes 3.5 and 6 inches. Determining and engineering the proper gold deposit for the application. 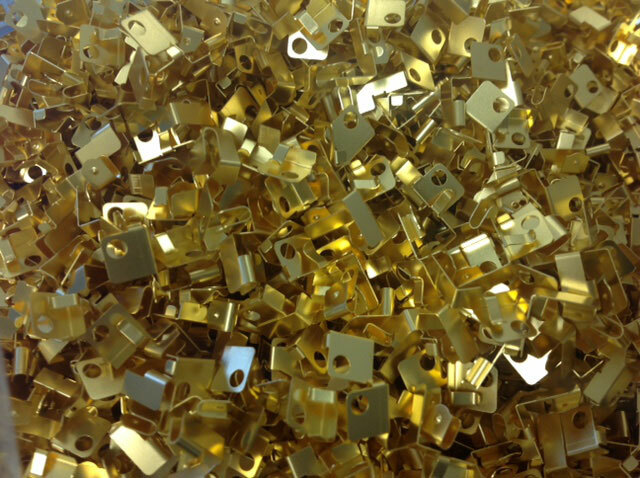 ASTM B 488: Hard Gold and Soft Gold. Mil-G-45204: Hard Gold and Soft Gold. An overwhelming majority of customer specifications not listed. In many cases, a under plate of nickel is required over copper and copper alloys including brass to prevent diffusion of copper migrating to the gold plate. These requirements are covered extensively in ASTM B 488, page 7 Section X5.2.4 and page 8 Section X6. 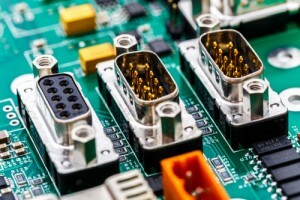 Nico meets those underplate requirements with ROHS Compliant Electrodeposited Nickels per QQN- 290 B, plus Medium and High Phosphorous Electroless Nickels per ASTM B-733-04, Mil C-26074 E and AMS 26074 B. Quality Assurance: Our baths are tested for purity and hardness. All solutions are SPC tracked and controlled in our on-site Lab, using our state of the art lab software.